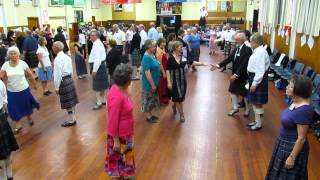 Added on: March 5, 2014, 7:31 a.m.
Budapest Local Club 27.02.2014 2014-02-27 Zoltán Gräff March 1, 2014, 10:52 a.m.
Blair Scottish Country Dancers 2018 Spring Dance prep class 1 2018-03-25 Jamie McDougall Feb. 27, 2018, 2:01 a.m.
vendredi 9 decembre Raphaelle orgeret Dec. 10, 2016, 5:23 p.m.
Wrexham - Monday 20 November 2017 2017-11-20 Andrew Locke Nov. 12, 2017, 7:16 p.m.
15 06 09 Leith 2015-06-09 Chris Pratt April 10, 2015, 9:32 p.m.
Bonn 2019-March-11 2019-03-11 Joana Stausberg March 6, 2019, 9:34 p.m.
allan wood · April 19, 2014, 5:58 p.m.
3 of the 4 couples are involved almost constantly. Twirl is graceful and fun for both spectators and dancers! 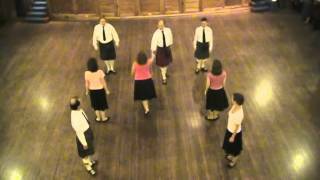 Strathspey emphasizes co-ordinated actions and stylish movement.